‘Platform For Artists’ is back in the city with a new and exciting event this time. Five artists from different domains will be performing and showcasing their talent. Musician, dancer, stand-up comedian, poet, and a painter will surprise you with their skills and we promise you a creatively diverse evening on this Saturday. 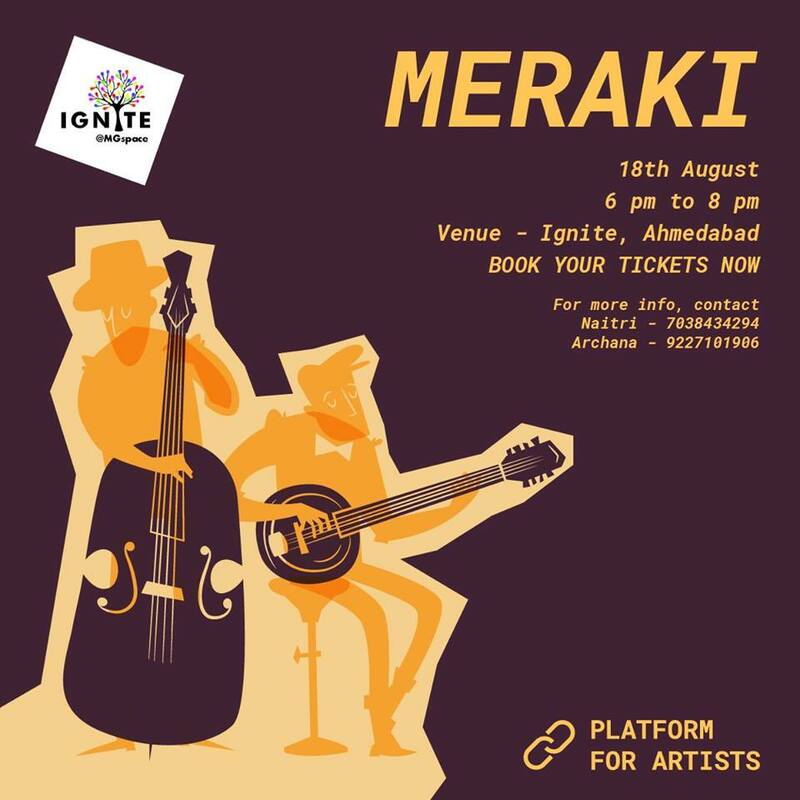 Meraki is a curated event which will be open for the audience to visit and the registration fees for the same are Rs.100/-.